It’s an entrepreneur’s dream: coming up with a single idea and hitting on an entire business. But once you have the idea, how do you bring it to fruition? What’s more, how do you make people understand your vision enough to be successful? Anyone can have an idea. The creation of an amazing brand name and execution of an enviable concept is work and thought. An idea can be some mundane item that people need, whereas a brand is that item combined with the story and feeling behind it. Beyond the function of whatever your idea is, your finished offering should be branded. This means you need to brainstorm about what you want your brand to be and what it should look like as the umbrella over your idea. Your brand should be a concept, that you can sell and that makes people feel good about buying. Bringing your new brand to market means greater commitment to your brand than ever. 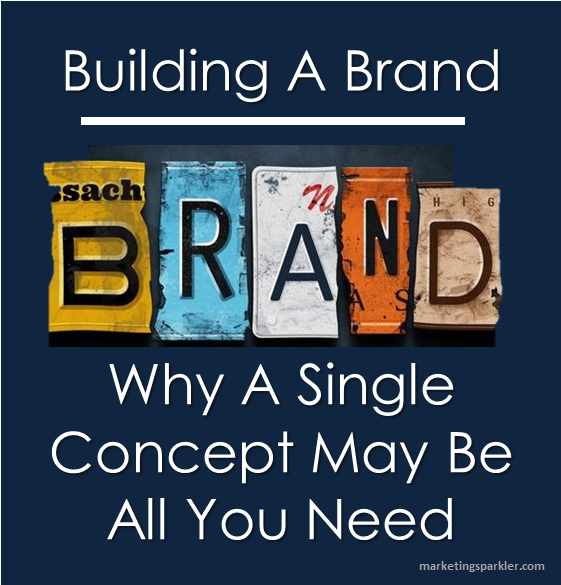 This means including your brand concept into every facet of your business — it should be visible in sales meetings, marketing materials, and known to your employees. Be the Best: Whatever you do, do it well. Excel at what you do. Stand Out: Don’t be afraid to be different. In fact, you should be celebrating your differences! Your mission should be bringing what no one else can bring to the table. Commit to Core Concepts: If your brand promises X,Y, and Z to a customer buying your product, then you should publicize your commitment to these benefits. Both your internal teams as well as prospective customers should be aware of the main principles behind your brand. What do many of the world’s most iconic and recognizable brands have in common? A commitment to core concepts. Why should anyone buy into your brand if they don’t know what you stand for? How excellent your product is may be secondary to other factors, such what feelings your brand presentation evokes. If you are an original equipment manufacturer, for example, your brand should inspire feelings of confidence, innovation, and precision. Inspiration is how you came up with your idea in the first place — now you need to integrate that spirit into your business model. Your brand should be visible throughout your business’s operations. This visibility is important especially for in-house research and development, product and package design, and all marketing and PR efforts. Fit your brand into various social media outlets, where it makes sense for your business and intended audience. Cross-link your platforms, link back to your website, and participate in your industry and internet discourse overall with branded content that serves as the more casual, “off-duty” voice for your business. Like social media, email marketing is a great way to slide your branding message into the package of an email. Send along product announcements, news and events, and other updates under the auspices of your designated branding. Optimize your website with branded copy and a look and feel to match. It’s important to consider how your website looks on different devices, such as tablets or mobile phones, and browsers. One idea may be enough to start a business, but one idea alone does not a business make. You need to develop and hone your idea into a powerful enough brand to make people not only understand what it’s all about, but also want some for themselves. This is a guest post by Nick Rojas, a business consultant and writer who lives in Los Angeles and Chicago. He has consulted small and medium-sized enterprises for over twenty years. You can follow him on Twitter @NickARojas.